Pieced Brain: Christmas Heads Up! I really enjoy hand making gifts for Christmas and am always looking for cool, different projects to surprise my family and friends. That is why I love this book I've just received for review: Celebrate Christmas with That Patchwork Place - 22 Festive Projects to Quilt and Sew. The projects are beautiful and creative, using traditional colors in innovative, modern, and fun designs. Whether you have plenty of time to work on a quilt, or can only handle a pillow or tree ornaments, you will find just what you are looking for in this book. Purses, table runners (there is one for Hanukkah, too), tree skirts, mantel covers, wall hangings, an apron... a great collection of ideas by very inspired designers. 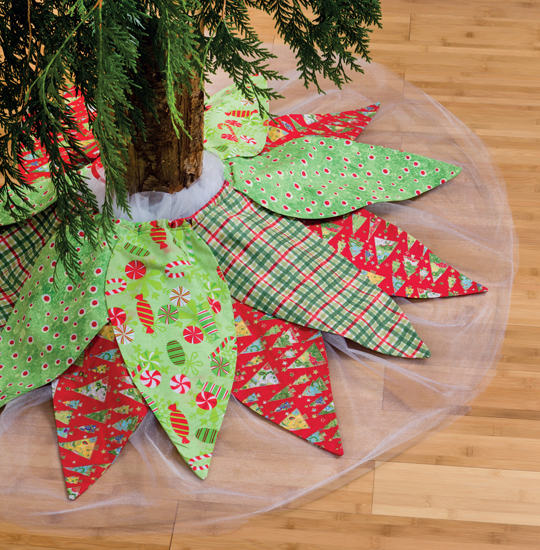 How about this Tulle Tree Skirt? What a great way to use our favorite Christmas fabrics... and the tulle softens the look, adding at once body and lightness to the skirt. 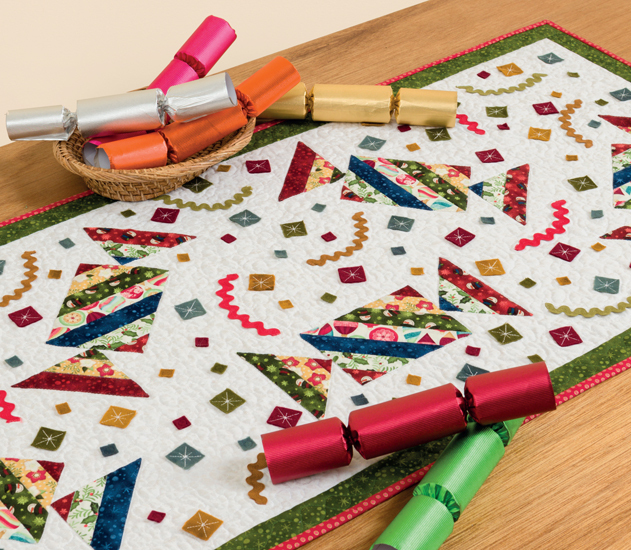 The Christmas Cracker Table Runner is a fresh take on a traditional project. I love the bits and pieces scattered around, as if the whole family had opened many of them. 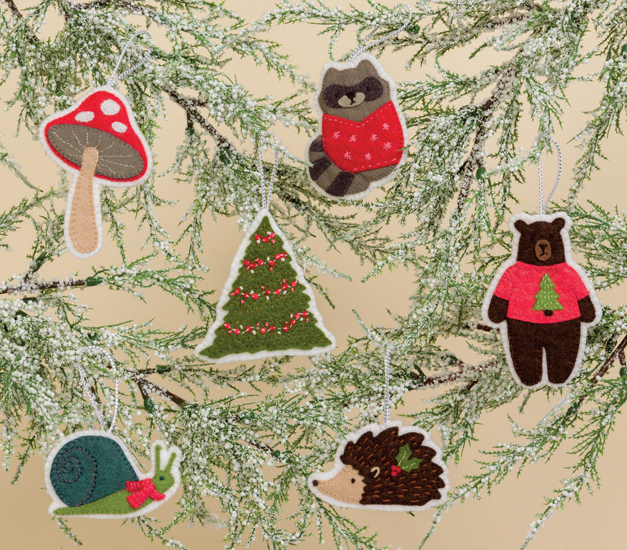 Look at the Forest Friends Holiday Ornaments - whimsical and perfect for ornament exchanges, grandchildren, and co-workers. I will make a few sets of them. 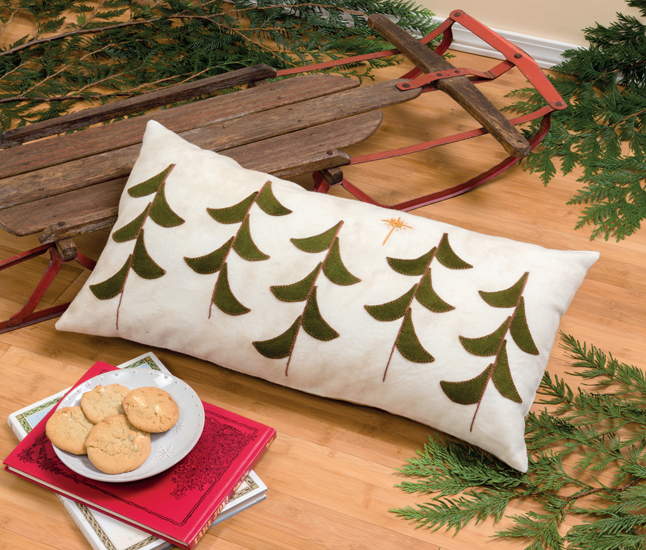 The O Tannenbaum Pillow's design is so charming! It speaks of winter and Christmas (notice the star) with delicate simplicity. In my library a have quite a few books by That Patchwork Place. 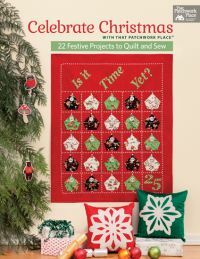 Celebrate Christmas with That Patchwork Place - 22 Festive Projects to Quilt and Sew is now my favorite Christmas book. Check out the book's page to see more photographs - I am sure you will agree with me. I did not tell you but I am back at school, working on my master's in Educational Psychology. I will make these projects if I have to sew between midnight and six am!! !